Father of Mibhar, one of David's chosen warriors (I Chron. xi. 38 [R. V. "Hagri"]). In the parallel list, II Sam. 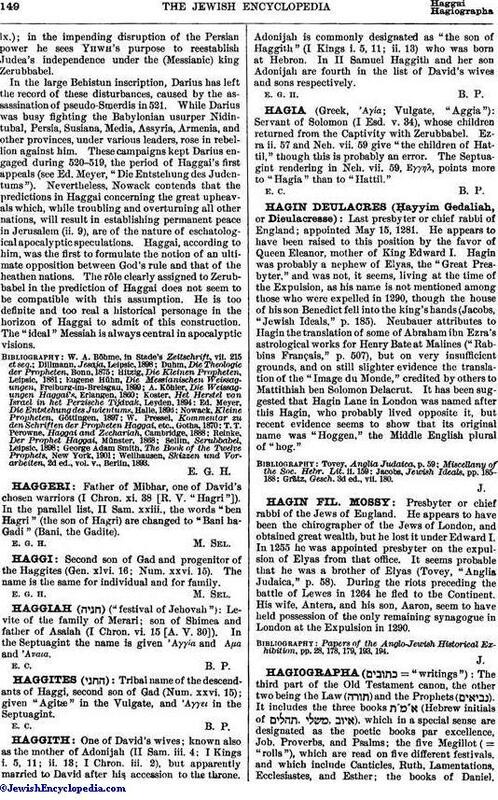 xxiii., the words "ben Hagri" (the son of Hagri) are changed to "Bani ha-Gadi" (Bani, the Gadite).